I first looked into birth photography because my husband, Nick, and I live far from both our families. We wanted to include them in the very personal experience somehow and I thought this would be a great way! When the big day came, Maggie was an incredible energy in the room. There were times she was a fly on the wall and I didn't feel aware of the photographs a tall - even forgetting completely. There were times I'd be laboring and connect with her (as she is a mother as well). Her genuine care for a birthing mother is astounding. It radiates. When my birth ended in some complications, she stood next to Nick and my baby, Vivien. She sensed his need and he, to this day, says he was so thankful she came to him. Maggie is just that kind of person - able to read a room of when and what is appropriate and I can't thank her enough for surrounding us all with love and respect during this big transition. These magical stories of their children being welcomed into the world. It was so beautiful. I knew it became a priority for me. When we received the birth photos, I could not believe what I was seeing. That was me?! That was us?! What a team! How cool! There were even images that I didn't even remember happening - we must really leave our bodies when we labor! One of my favorite photographs was the moment Vivien was placed on my chest and I remember saying "thank you!" out loud and it is captured perfectly! I also was SOOO surprised when we received the slideshow. I had no clue she had captured video as well and when it played my husband and I cried. It was so beautiful to relive the moments of intense love and gratitude. On a practical level, I've used the video while pumping at work to help my milk let down. I have used the video when I felt I was doing everything wrong, or felt lonely since our village is 1000 miles away, I've used the photos to invoke meditative states into sleep. I've used it just to experience joy. I hope to make a book of the birth photos eventually. I want Vivien to look at it and know what it was like when she entered the world - full of love, strength and a lot of passion. I play the song from the video every morning when we wake up. So when the time comes to share the video with her she will recognize it and hopefully feel appreciation like I do. I highly recommend birth photography, who doesn't want to look at photos of you and your partner being a team, seeing yourself in a raw but powerful form, and the best yet, seeing the moment your child came into the world. Nothing more amazing. If I give birth again, I can only hope Maggie and her camera will join us. I am a mother of three children all of whom I birthed completely naturally. My first two births were in the hospital. I did not have any pictures of those important times of my life and that is my only regret. For the birth of my third child, I wanted to do all I did not do for my first two labors/births, which was birth photography and a homebirth. This was a very special time for my family as we knew this would be the last child we had, so we wanted it to be extremely special and memorable. Maggie was extremely calm and non-intrusive during the labor/birth; I seriously did not know she was even there. The pictures she took are beyond anything I could have anticipated. Those moments are 'immortalized" ........frozen in time as a keepsake we cherish everyday. I cannot say enough about Maggie's work. She is a true artist! Maggie was an important part of our birth story, and one that I didn't even know I would need or want. But I am so glad that we decided to invite her to be the one to capture the beauty of those fleeting moments while I was in labor with our sweet baby girl. The images she shared with us were such a profound gift as we recalled the little details of this amazing, life changing event in our family just weeks after. Not only was I able to see myself in a way I wouldn't have been able to through my own eyes, but also to see my incredible husband supporting me every step of the way. To get to see the first few seconds our daughter was outside of my body was a miracle that I would not have been able to experience without Maggie's important role in her birth. She was professional, but even more than that, she was present with us in these beautifully fragile memories. I am so grateful to have had her help in making our first child's birth one of the most encouraging, empowering experiences I have have the privilege to have. If you are considering birth photography, I highly recommend Maggie! Her mother's heart shone through the photos we will now have forever, allowing us the special privilege to share our story with our daughter when she is older. I believe a birth photographer plays a priceless role in the birth story - one that allows you to remember more clearly the miracle of life & the day everything changed for the better. 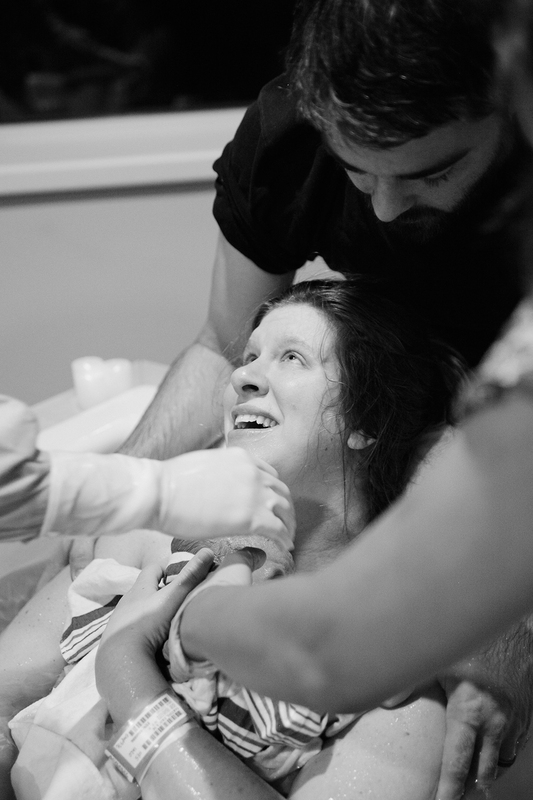 Maggie photographed my second home birth and we really enjoyed working with her. During the birth she was warm and unobtrusive. She made great use of the available light so that I was never distracted by a flash. The photos she captured are priceless. My favorite is the one of me holding my son for the first time. There were things that I missed because I was focused on the labor and delivery, and it's a joy to be able to go back and see all the love that surrounded us. The best part about working with Maggie is that she is a Mom herself, so she "gets it." At the end of our birth, she asked if she could borrow my smart phone to snap a couple of family photos for us, so that we would have something to send to friends right away without waiting for the formal gallery. That was brilliant and so kind on her part, and those first photos are treasures. I have been surprised by the uses we have had for our birth photos aside from having a beautiful record of our son's birth. When my baby was a few months old, we printed a couple of the photos and mounted them to card stock and laminated them to make a baby photo album that was safe for him to hold and "read." He loves looking at the photos of himself! Additionally, his birth photos have been a loving way to show my older child how he was born the same way as his little brother. It has opened a nice dialogue about the love mothers have for their babies. In that critical period of transition to being a big brother, I know those photos helped him feel loved. We feel so very blessed to have had Maggie as our birth photographer. She documented the birth of our second son and was extremely professional, respectful, non intrusive and kind. She beautifully and artistically captured our son's birth and the amazing moments when we first met him. You can absolutely feel the raw emotions experienced during the birth by just looking at her photos. Simply amazing! We will cherish these images forever.